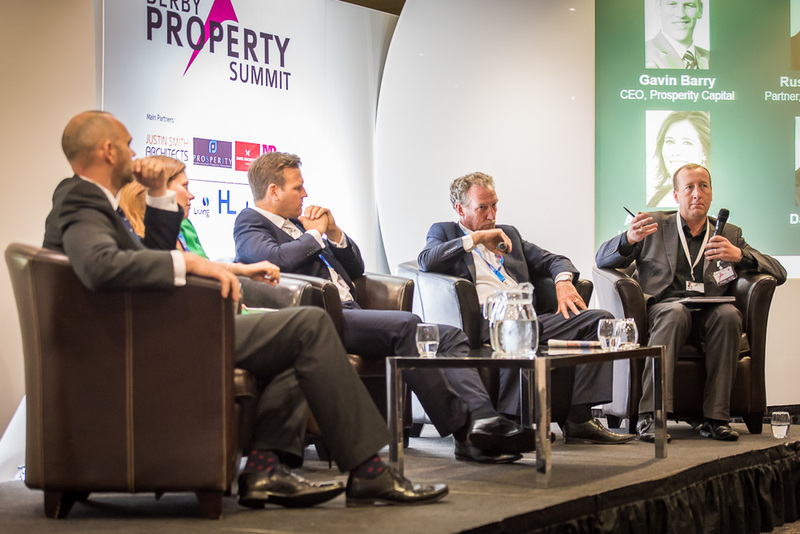 Various topics were covered in yesterday's Q&A panel at Marketing Derby's Property Summit event such as Chief Executive of D2N2 LEP David Ralph's take on devolution deals and extra government funding and a UK property developer's failing plan to keep Derby a secret from other London investors. David Ralph said the absence of a devolution deal covering Derbyshire and Nottinghamshire means the area is potentially missing out on £2billion of extra government funding. He added: "I don't hear anyone clamouring for a mayor of Derby, Derbyshire, Nottingham and Nottinghamshire. I don't think it's a fantastic model, but it is one the Government insists on. I think financially we would lose out. Ministers are on record saying areas with mayors will be advantaged. This means, I think, potentially, we are missing out on £2billion." Gavin Barry, Chief Executive of Prosperity Capital Partners - the company behind the University of Derby's Cathedral Court development - said the story of Derby is trickling down to London investors. He said: "I want to keep Derby a secret to keep the competition out. Derby's on their radar now. The cat is out of the bag and it's great for Derby. To be fair, I do shout about Derby because I think it is a place that has huge potential. We, ourselves, are committed to Derby. We like what we see and we'd like to do more here." Russell Davies of Smith Partnership spoke about the need for the city to focus on retaining talent from graduates after their time at university. He proposed that the University's shift towards the city centre - with its new Law School at Friar Gate Square - could be key to changing Derby.